Video: BMW and Audi to Steal Sales From Tesla? The electric vehicle competition is heating up, especially in Germany where Tesla, Audi and BMW aim to face off soon. For BMW, it's s the i3 and i8. For Audi, it's the A3 Sportback e-tron. For Tesla, it's the Model S.
And if we toss in Volkswagen, it's the e-Up! and e-Golf. Yes, there's a battle soon to be brewing, especially in Germany, the home turf of most (excluding Tesla) of the automakers listed here. 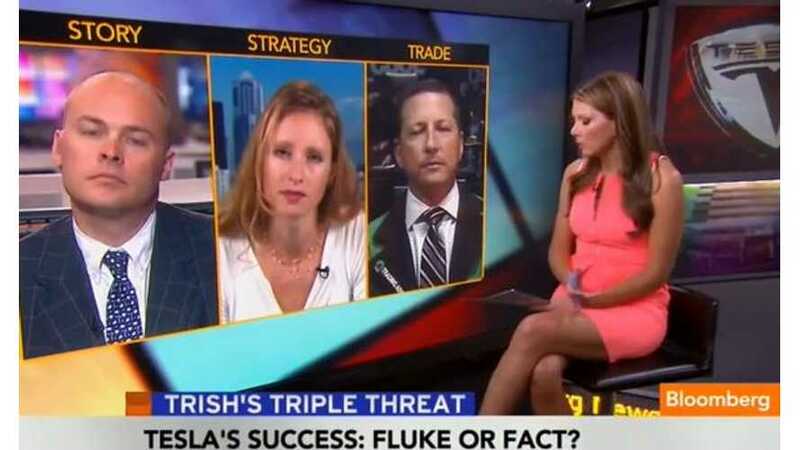 Well, in this video we have Dougherty & Co.'s Andrea James, Trading Advantage's Scott Bauer and Bloomberg's Matt Miller discussing Tesla's future with competition soon to come from BMW and Audi. Interesting times...Yes they truly are.